There's a lot more to the Colosseum than meets the eye. This exclusive tour of its hidden features - the underground and the dungeons - makes that extremely clear. Your English-speaking guide will take you to the lowest depths of the Colosseum's underground area, where you can see the remnants of technological feats such as ingenious pulley and winch systems. These were used to hoist the gladiators and wild animals onto the arena for the battles this amphitheater is famous for. Also, explore the dungeons where the gladiators would wait before being forced into battle at the arena. 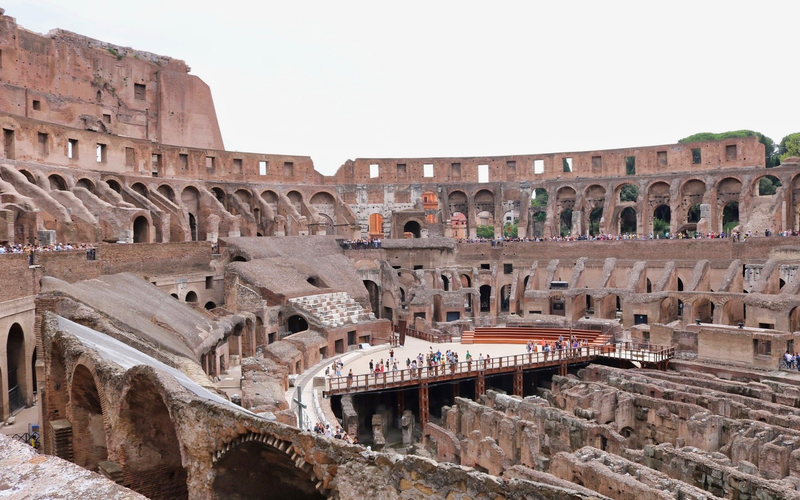 Once you're done exploring the Colosseum's underground area and dungeon, you can step back up onto the second floor of the arena, with panoramic views that you'll remember for years to come. 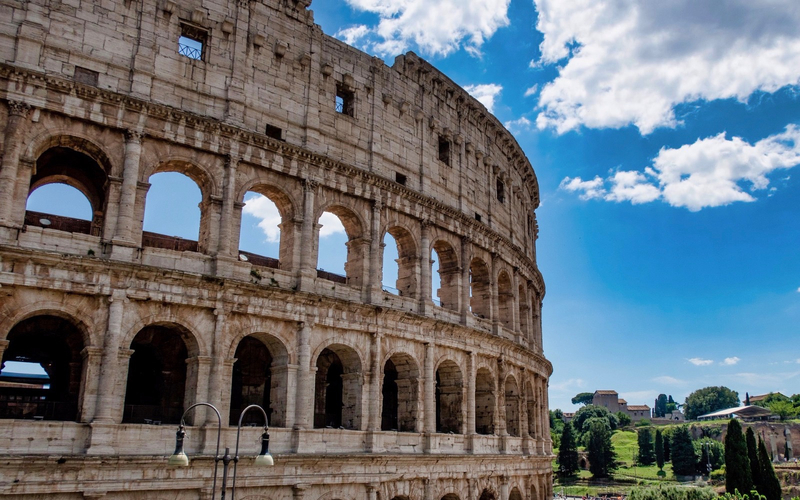 Your guide will leave you with more fascinating, lesser-known facts about the Colosseum, and your tour will have ended with you being the richer in this attraction's hidden history! Meet your guide and small tour group before heading over to the Colosseum and gaining priority access with the help of your guide. Get exclusive access to the underground area and the dungeons of the Colosseum on this 2.5-hour tour. 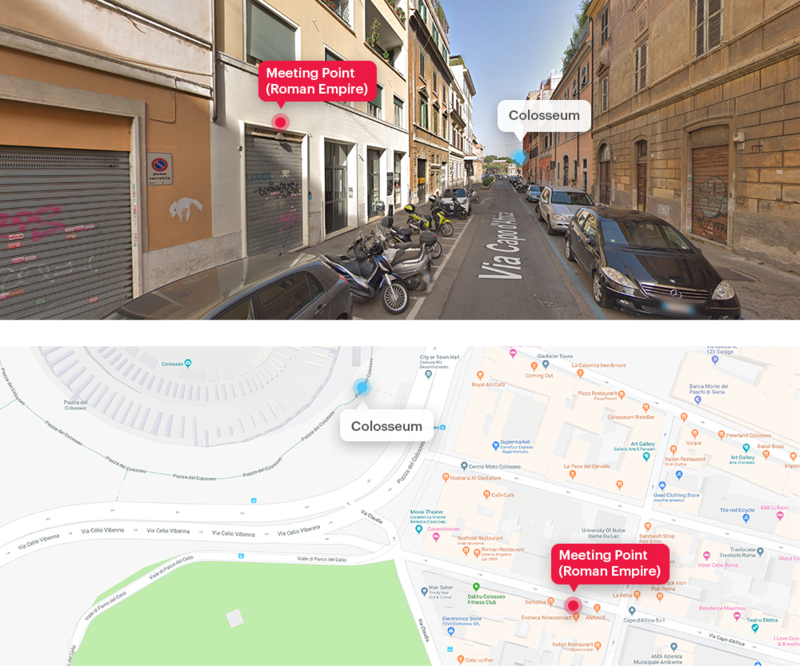 Your English-speaking guide will give you an in-depth understanding of the hidden facets of the Colosseum and will take you to the second floor of the arena, with views to die for. 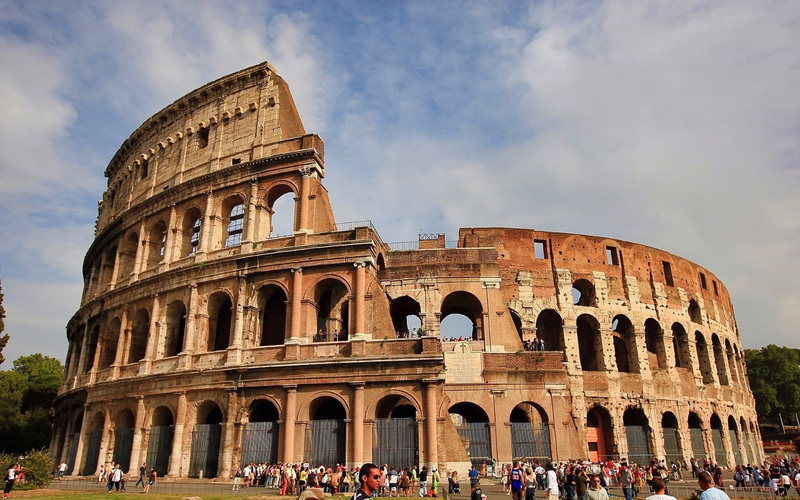 After your exclusive guided tour of the Colosseum, feel free to explore the Roman Forum and Palatine Hill, whose entry is included in this ticket. This 2.5-hour tour begins at 11:45 AM on all days of the week. Please note that entry to the Colosseum is free on the first Sunday of every month. You can take a baby stroller into the Colosseum with you, should it be necessary. You will receive an email with your Exclusive: Colosseum Underground, Arena and Dungeons - Small Group Tour ticket instantly. You may display the ticket on your mobile device on the day of the tour. 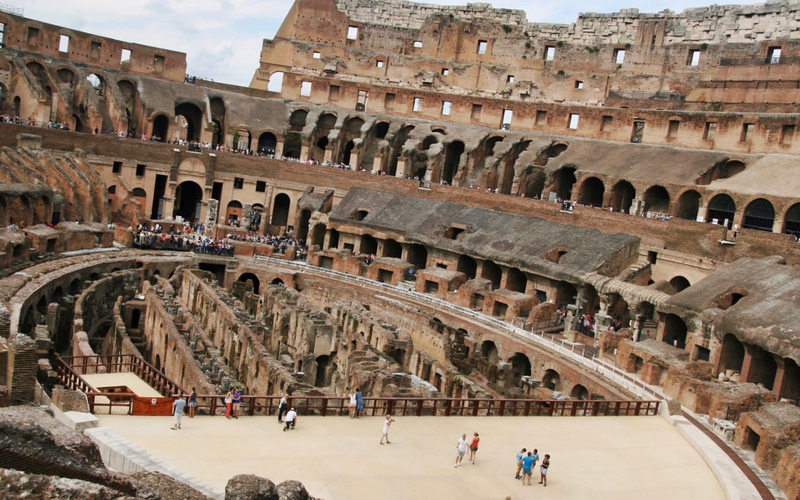 Exclusive access to the Colosseum underground, arena and dungeons. Access to Roman Forum and Palatine Hill. Small groups of not more than 25 people. Assistance from our local partner. Complimentary washrooms at your disposal at our partner agency.